Vintage sports cars add a touch of class to every event. To discover what works for your event, don't miss this event planner's guide to displaying cars. If you’re planning out your next music video, think about adding a classic car to it and learn how to theme it to your music video. The ability to identify a classic car is both instant and natural for any vintage or veteran cars if you are like me. With any luck, they are not traveling in the opposite direction, and you will get a chance to stop and admire these magnificent autos of old from close up. Mostly, I can identify the make and model with ease, sometimes even the year these collectibles first hit the road. If you would like to know how to identify a classic car, please read on. Fortunately, a veritable non-stop supply of beautiful old cars exists, with more joining the ranks every year. That said though, the number of classic cars making it through to veteran or vintage status represents a tiny fraction of the original model range that rolled off the production lines all those years ago. That is what makes them so collectible. What Makes a Car Classic? The precise definition of a classic car differs from one country to the next, but the vehicle does need to be an older auto since modern cars do not qualify. Classic car status would fit a vehicle that is old enough historically, to make it collectible owing to its scarcity factor. The Classic Car Club of America defines a Classic as a “Fine” or “Distinctive” automobile, American or foreign built, produced between 1915 and 1948. This, of course, implies that such a vehicle is worth preserving and restoring as close as possible to its original condition. Sadly, far too many older motor vehicles just end up on the scrap heap at the end of their useful life. The option of going into a pampered and enjoyable retirement in some motoring enthusiast’s garage seems to have passed many vehicles by. One of the best ways to brush up on your knowledge of some of the older, sedate sedans is to attend expos and road shows. These take place to raise awareness for various clubs around the country. Some towns and cities have museums dedicated to automobiles of old – click here to view the list of National Association of Automobile Museums. Most exhibitions have very strict qualifying criteria before allowing a vehicle to claim the distinction of classic car status. Once you have attended a number of classic car events, it will not be too long before you start the identification and recognition routines. The next step is to research the archives containing important refinements for each model over time – type in a relevant search string on google and sift through the results and images. Soon, you will develop the ability to note features of a particular make and model so that you can assign an accurate year of manufacture. Apart from renting a classic car yourself, one of the best ways of getting the download on a particular make and model is to find the owner. Most classic car owners will be well satisfied with their handiwork and delighted to share their knowledge with interested parties. One of the quickest ways to identify a classic car is to track down the various vintage or veteran car clubs and take up membership. At very least, get your name on their mailing list; it may prove the first step towards correctly identifying beautiful autos from yesteryear. Maintaining the exterior of a classic vintage car can be quite the task on its own, and the interior is no different. Your dream vintage classic car craves love and attention, so try out these steps to make the interior of your vintage car look amazing. A wedding is a special moment in everybody's life. Here are 10 exciting ways to make a wedding entrance and exit and unforgettable moment for yourself and for your guests. With spring upon us, many classic car owners are preparing their cars for the road following winter storage. The chill of winter is fading away and many drivers start planning road trips. And for the recent classic car owners, weather like this is one reason you decided to become the owner of the car of your dreams. But whether you’re a veteran to the ownership game or a newbie, preparing your car for road trips is a good idea and helps make the experience that much better. Why worry about the reliability of your car while on the road? Or worse yet, trying to figure out how to repair a broken car when you should be enjoying the drive. Let’s get one thing out of the way. Your classic car is just not going to be as reliable as a modern day Ford, Chevy or BMW. Classic cars are decades old using technology developed before you were born. And if the car you choose to drive isn’t restored, you’re not benefitting from any of today’s restoration techniques or hardware. But that’s part of the charm of driving a classic. There is a little uncertainty mixed in with the fun of owning anything classic, whether it be a pre-war vintage or a 60s era muscle car. With that in mind, let’s consider a few things to look out for as you plan a spring or summer trip. It wouldn’t hurt to start your preparations by doing a simple tune-up. Change the oil and filter, then check the spark plugs. If the plugs were changed recently or prior to the car being stored for the winter, checking gaps should be sufficient. Obviously, any suspicious carbon or oil deposits on the plugs means a problem needs to be taken care of before hitting the road. Easy things to check are clogged air filters or a problem with the fuel system. Oil on the plug is a little more serious so checking for oil leaking past valve guides or piston rings is a good bet. Sometimes the destination can be as great as the drive. Next, take a look at all of the gaskets, seals and belts. Anything looking worn or cracked needs to be replaced. You don’t need a worst case scenario where you’re replacing a broken belt on the side of the road or in a hotel parking lot. Take a look at your tires next. Always try to keep tires at the correct air pressure to minimize wear. If a car was stored through the winter months, check the tires for flat spots which can happen when a car sits in the same place for an extended period of time. Replace any tires that look worn or cracked. And last but not least, make sure you check the air pressure of the spare tire. A flat spare does nothing for you when you need it. The most important thing your car needs to do is stop. Yes, even more important than getting it moving. And for obvious reasons. So let’s make some quick checks. First, make sure the fluid level in the master cylinder is at the correct level. Then check under the car and at each wheel for leaking brake fluid. New classic or vintage car owners may not know when brake pads were changed or brake lines replaced. This is time well spent to avoid any stopping problems during your travels. Keeping your car’s engine running cool is crucial, especially if your road trip includes any summer desert driving. Hot days will quickly test a car’s cooling system. If you feel it’s necessary, you can flush the cooling system, replacing it with fresh fluid. Also check the radiator fins for debris and the radiator cap for a tight fit. One final note while you prepare your car for the road. If you have time, take it on a long road test, driving both city streets and highway roads. The idea here is to get the car in as many road conditions as possible prior to your trip. This way you have the opportunity to see how the car operates with everything at the proper temperature. The test drive may present you with unseen gremlins that can be corrected prior to your trip. Pick a route worthy of your classic car. A route that includes hills and the potential for unfavorable weather can make a road trip more difficult in a classic car. An underpowered vintage car will struggle with elevation changes, not to mention keeping up with modern day traffic on interstate highways. Although, there’s no reason why you shouldn’t consider historically significant roadways as part of your trip. Route 66 sounds like a cliché but why not add it to your list of highways to try? Roads like this can be found if you look. Others to consider are the Pacific Coast Highway in California, the Tail of the Dragon, which begins on the Tennessee/ North Carolina state line, and the Blue Ridge Parkway, which passes through both Virginia and North Carolina. Give yourself some leeway when heading for your next destination. 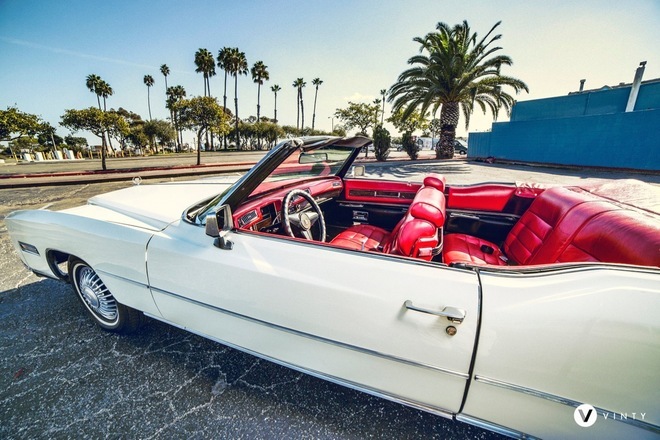 There’s nothing wrong with taking your time and enjoying the drive, especially in a classic. Here at Vinty, we receive many questions from owners of classic cars - how does Vinty work? How can we get our car on the platform? 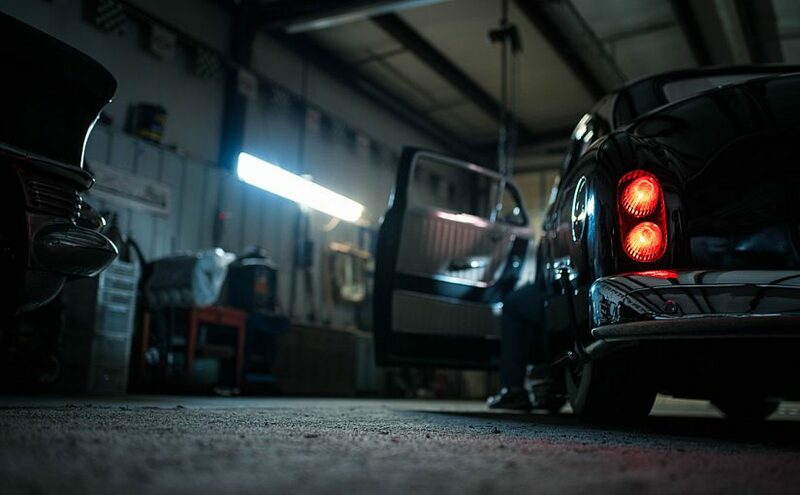 How much money can I hope to make?This post will try to explain all of that - to give you, the classic car owner the information you need to get started with Vinty. What is Vinty? 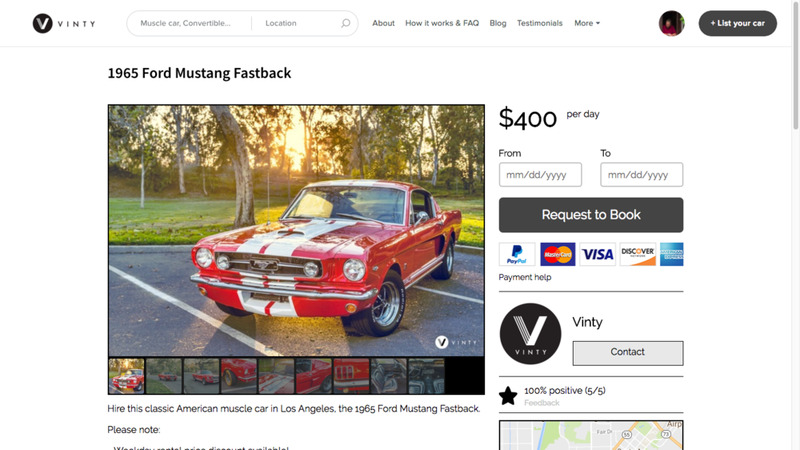 Vinty is a marketplace that brings together classic car owners with people who want to rent classic cars. For life events such as weddings, coming of age birthday parties, graduations, etc. To drive down memory lane. To use the car as a prop at corporate, arts and entertainment events. To take a tour in style. For advertising, film, music, or other media production. … and many other reasons that we learn about all the time. For all these reasons, Vinty delivers a simple solution that our customers love. Who can advertise cars on Vinty? We have taken a hybrid approach where we work with both professional rental companies as well as individual owners of classic cars. Why you should I rent out your classic car with us. 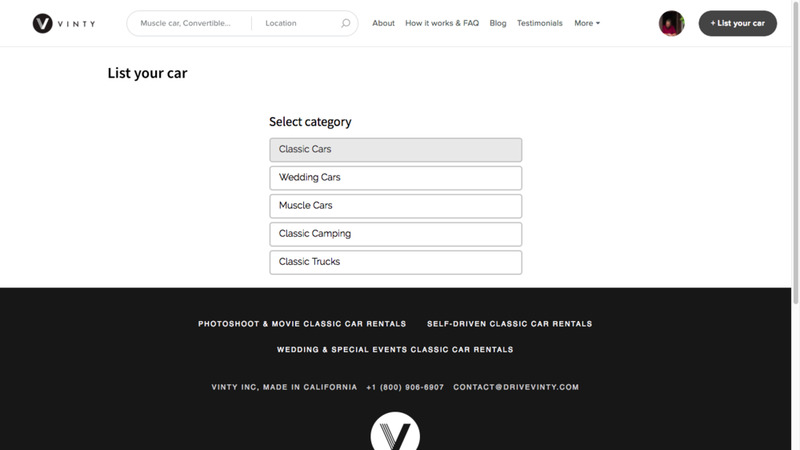 Whether you own a business renting (classic) cars or a private collector/owner, we would love to list your cars on Vinty! On average, we generated $3,000 of rental revenue for our partners within the last six months. This income is not guaranteed, but it is relevant enough for you to try! You stay in control. If you are a private owner, we offer the choice of two rental types: photo shoots and chauffeured rentals. You will remain in control, and no one else will drive your vehicle. This is, in our opinion, the best solution for individual owners. 5/10 high-quality pictures of your vehicle: this is vital, take every angle, every detail and go to a location with a beautiful background. We also advise you to go within an hour of sunrise or sunset for the best light. Pricing: what price do you have in mind? Check out what we have on Vinty to give you an idea. 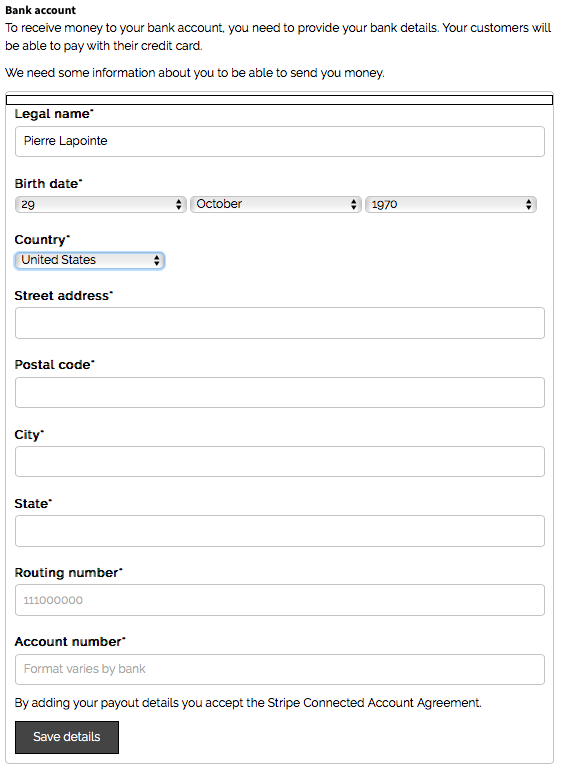 Alternatively, we can put a mention "Contact us" on the listing and decide when we get a lead. Your location: where is the car located and which area do you want to cover. Rental type: for individuals, we have the choice between photo shoots and chauffeured rentals (or both), which one would you prefer? Owner's agreement: we will send our standard agreement that we eventually need you to complete before the first rental. What are you waiting for? Easy enough it seems, right? If you are interested or if you have any questions, please send us an email at [email protected], and we will get you started!